With their passion for interiors and keen eye for detail, Leigh Boswell and the design and decorating team at Highgate House have spent the last two decades transforming some of Australia’s finest homes. Clients praise Leigh’s ability to translate their individual style and ideas into well designed and visually appealing spaces. Highgate House has an established reputation for the highest quality interior design and decorating, and word of mouth recommendations are their best advertisement – something Leigh takes great pride in. The Highgate House design and decorating team can take care of every detail, removing stress from the equation and simplifying what can seem an overwhelming amount of decision-making. Their extensive knowledge, experience and contacts will ensure the smooth running of your project, whether it’s building, renovating or decorating. Quality is key and Leigh has gathered a strong team of talented and reliable designers, manufacturers, suppliers and tradesmen. 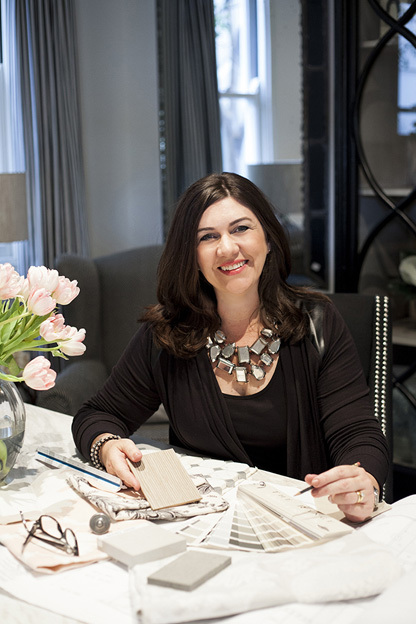 There’s nothing better than a delighted client and Leigh and her team take pleasure in providing exceptional service coupled with quality products and innovative, yet classic, designs. Highgate House specialise in thoughtful, luxurious interiors that are as functional as they are beautiful, giving you a classic home you will love for years to come. Copyright © Highgate House. Site by Merge Digital.